You are here: Home / holidays / Christmas / Christmas. Organized. Do you get so busy with the shopping and prepping for Christmas that things start to fall through the cracks? Or maybe you want a good way to keep track of what to buy, when it is bought and given? Each year, I create a spreadsheet where I list all of the people I buy gifts for and the budget for the gifts. Once they are purchased, they are assigned a receipt number and I track when they have been wrapped. It helps bring me peace of mine that all the gifts are purchased and make it under the tree. Assigning a receipt number makes it easy to find the receipt in case an exchange is needed since I am pretty terrible at remembering to get gift receipts. I’ve shared this handy little sheet with you in case you want to start using a similar system. Enjoy! Wow! What a great idea, I will definitely have to try this out as I have such a bad memory. Thanks for sharing. My Make-up & Beauty Obsession! Something I do is put a post it note on each wrapped gift that has what is inside written on it. Sometimes I forget what I’ve purchased for people, how bad is that?!?! What a great printable! I’d love to have you link this us to Titus 2 Tuesday this week on Cornerstone Confessions.. I hope to see you there. Very organized! I only get organized near the end of the season… “What? You still don’t have a present for your dad? Okay, get out a piece of paper and write down ‘Dad’ on it, and I still need a present for my brother, so write that down too…” You’re clearly way more organized. 🙂 Thanks for sharing at The Fun In Functional! Love it! I have mine all filled out! Lol. I would love it if you linked up your printable. 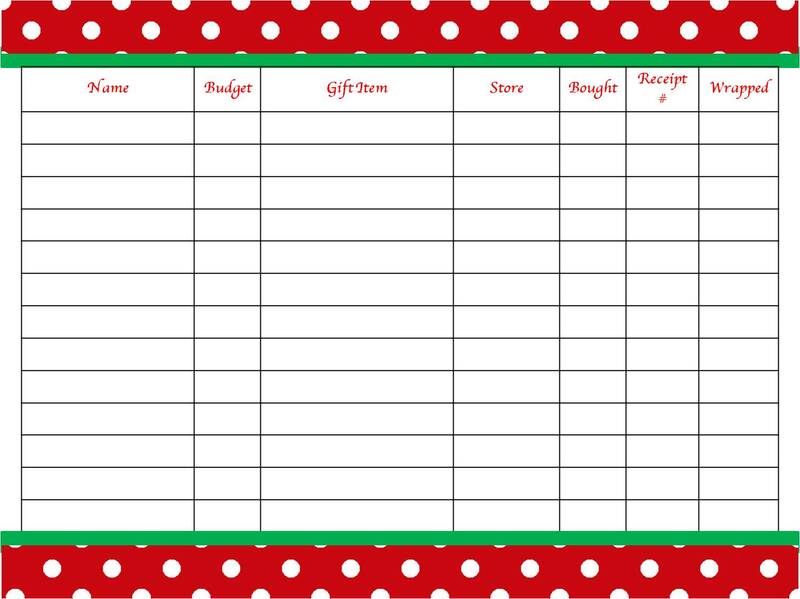 Just found this great Christmas organizing tool. Shared it as one of my top picks on Five Freebie Friday Link-up!